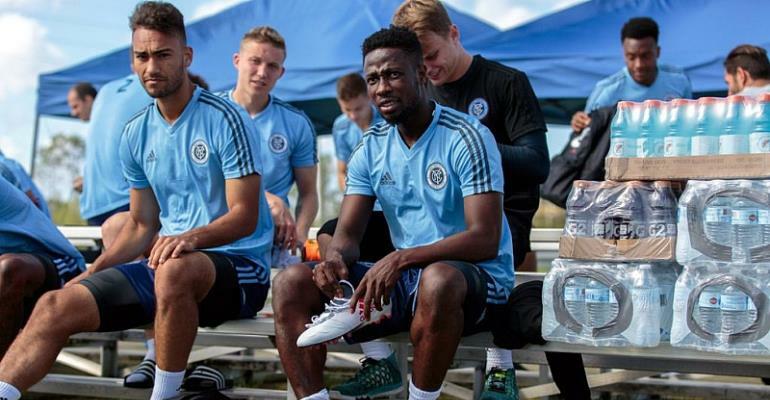 On-loan Ghanaian midfielder, Ebenezer Ofori is hoping to win trophies with New York City FC. Ofori joined the MLS side on a one-year loan from German Bundesliga side Stuttgart. Speaking to the official club website, the 22-year-old said, "I'm feeling good and happy because I've been looking forward to starting this new chapter with a big club like NYCFC. "I can't wait to step out in the Bronx on a game day and to meet the fans for the first time."